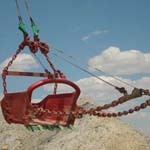 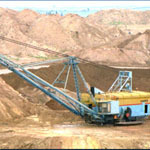 Dragline excavation systems are heavy equipment used in civil engineering and surface mining. 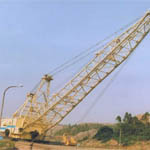 In civil engineering the smaller types are used for road and port construction. 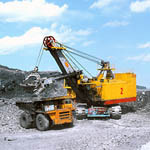 The larger types are used in strip-mining operations to move overburden above coal, and for tar-sand mining. 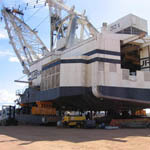 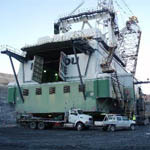 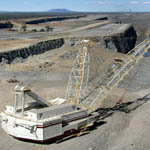 Draglines are amongst the largest mobile equipment ever built on land, and weigh in the vicinity of 2000 metric tonnes, though specimens weighing up to 13,000 metric tonnes have also been constructed. 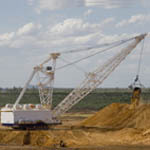 Once submitted, we will try and place you in contact with a suitable Draglines supplier within 48 hours. 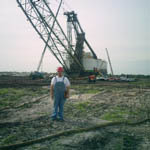 9000 C-Series Draglines from P&H Mining Equipment Inc.
8750 Draglines from Bucyrus International Inc.